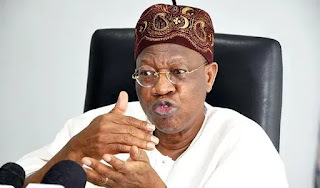 The Minister of Information and Culture, Lai Mohammed has said despite the challenges facing the President Muhammadu Buhari-led administration since coming to office in May 2015, the government has not retrenched a single worker. The Minister also said it released the names of alleged looters in the country not because it was in a panic mode but because the opposition Peoples Democratic Party (PDP) challenged it to do so. He told Independent Newspaper: “We were challenged to do so. Don’t forget that on their own, the Peoples Democratic Party (PDP) said that they apologised to Nigerians for the way they ran Nigeria aground and we said, yes apology is accepted, but please return the funds. I think one of them challenged us to name those who had stolen money”. “I think gradually it is becoming fashionable when you remind PDP that they brought us to this sorry path, they will say stop talking about what we did, please continue with your own. But we cannot move. It is important that Nigerians remember how we got here and the same people who have made no atonement say that they want to come back to power in 2019. “So, it is important for us to remind them. Let me tell you, this government is not in any panic mood. We are so proud of our achievements that in less than three years I can stand up and say this is what we have achieved in the area of security; this is what we have achieved in the economy, in the area of ease of doing business. “There is no area we have not made our mark. We lifted Nigeria from number 165 in the ease of doing business to 145. It is not a mean feat! And we exited recession at a time when the price of crude was low; we were in recession when we implemented the diversification of the economy.” “It is on record that despite all these challenges we have not retrenched one person. So, why should we be afraid? I don’t see any reason why we should panic; I think it is the imagination of people that the government is panicky. No!” He said.